Yes, it is snowing here at Caffeinated Reviewer and the fireplace is lit. 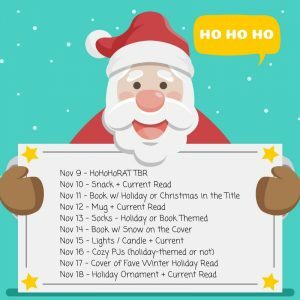 So let’s begin this year’s HoHoHo Readathon! Grab your books, your blankets and some hot cocoa. 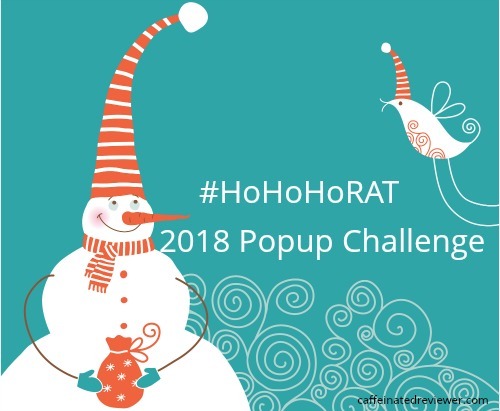 Twitter Party is on Sunday November 18th at 3:30 pm (EST) Use TweetChat to follow easily and remember to use hashtag #HoHoHoRAT. There will be prizes, fun chats about books read and you will earn an extra entry in participant raffle or joining in the fun. Do look for random fun giveaways from me Caffeinated. You’ll spot them on Caffeinated’s Facebook, Twitter, or Instagram accounts. So be sure to follow me. A special thank you to our ELVES! Be sure to follow them! We’ve got some fun challenges to entertain you and a chance to win a prize. Throughout the challenge there will be random popup challenges hosted by Caffeinated. They will appear on our social media pages: Twitter, Facebook, and Instagram. Once one pops up you will need to comment and add your Linky #. 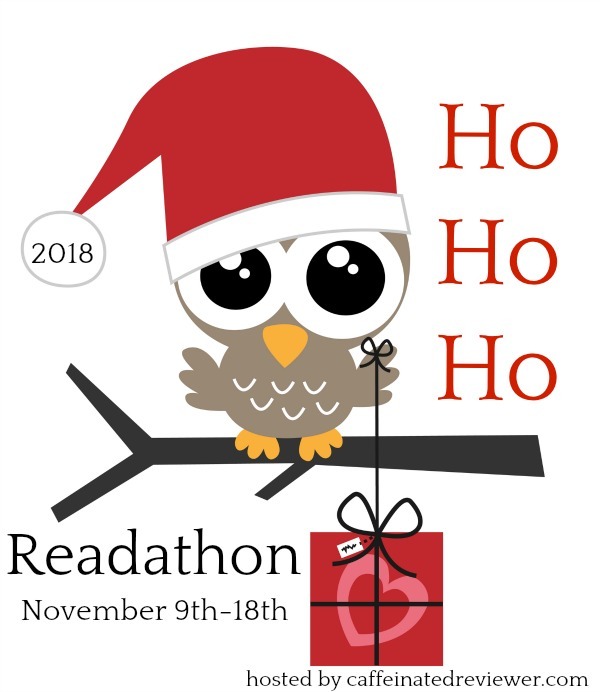 At the end of the readathon I will use Random.org to select winners. Prizes will be everything from ebooks to gift cards. Be sure to stalk me on social media to participate. I will announce winners on social media links and here. 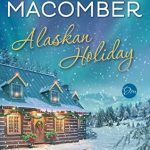 One lucky #HoHoHoRAT participant will win a $15.00 book of their choice from Amazon or Book Depository. (eBooks allowed) OR (1) Audible Credit. I will update as I read books here. Here is the instagram challenge from Jennifer. Be sure to tag Jen jennifer_tbn and use hashtag #HoHoHoRAT. One winner will receive their choice of a $10.00 gift card to Amazon or B&N. I’ve been doing two month long read-a-thons so even though I saw this one around I wasn’t able to join in. I hope you had fun doing this though! Olivia Roach recently posted: Top 10: Unpredictable Books! I hope you get all of your books read! 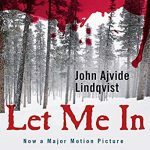 I’ve always been curious about Let Me In. 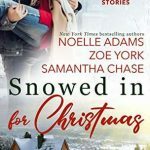 I dont have time right now to do a readathon but I am having so much fun watching what everyone is reading… I am looking for a few more Christmas reads to dive into this year! aww I hope this goes well for you!!! And look at all those charming holiday reads…hope they are good ones. First year participating and I am excited even if I am nervous because I have no clue what I am doing other than reading! Going to try to get a post up now with my reading list! I don’t know how many books I will be able to get through but I am excited to cross as many as I can from my tbr list! Thanks for hosting this challenge! The Holidays are officially here. 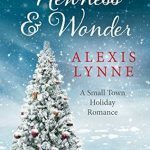 As I’m getting older, I’m finding myself reading more holiday themed books than ever before. 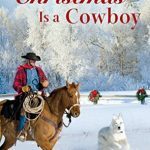 Don’t get me wrong, I still love a good thriller, but there’s something magical about reading a Christmas story this time of year! Have fun! 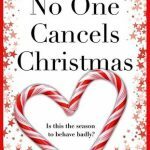 I don’t really read winter or holiday themed books so I’m sitting this one out. Thank you. Winter books count too. Anything with a winter setting. Yay, snow! Hope your enjoy your Christmas books Kim, after your stressful week. Thank you. No kiddos today, so hoping to read a full book. Sweet. Happy reading my friend! Woohoo! I’ve got my list and ready to go. Looking forward to visiting the elves, too.